Beware the Patronizing Mango – Episode 3 – Bibblybots by Matthew Sanborn Smith is licensed under a Creative Commons Attribution-NonCommercial-ShareAlike 4.0 International License. 05 JunNew Mango episodes on Patreon! It’s the May 31st show! 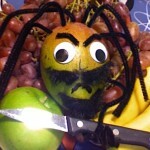 And the last Beware the Hairy Mango ever! Beware the Hairy Mango – Episode 334 – Happy Deathday by Matthew Sanborn Smith is licensed under a Creative Commons Attribution-NonCommercial-ShareAlike 4.0 International License. It’s the May 27th show! Beware the Hairy Mango – Episode 330 – The Capitator by Matthew Sanborn Smith is licensed under a Creative Commons Attribution-NonCommercial-ShareAlike 4.0 International License. It’s the May 26th show! Beware the Hairy Mango – Episode 329 – Hairy Groomer by Matthew Sanborn Smith is licensed under a Creative Commons Attribution-NonCommercial-ShareAlike 4.0 International License.